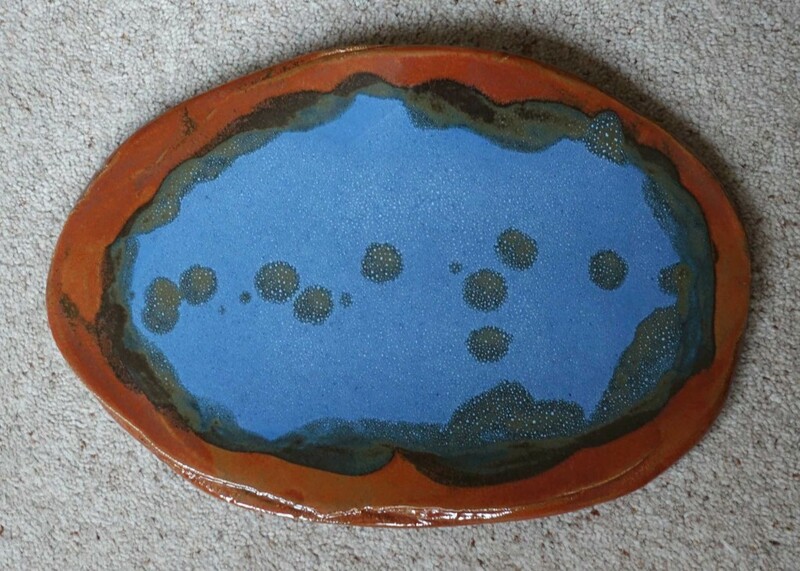 A large fruit plate, irregular shape, with glossy red, matt ash white and blue glazes. 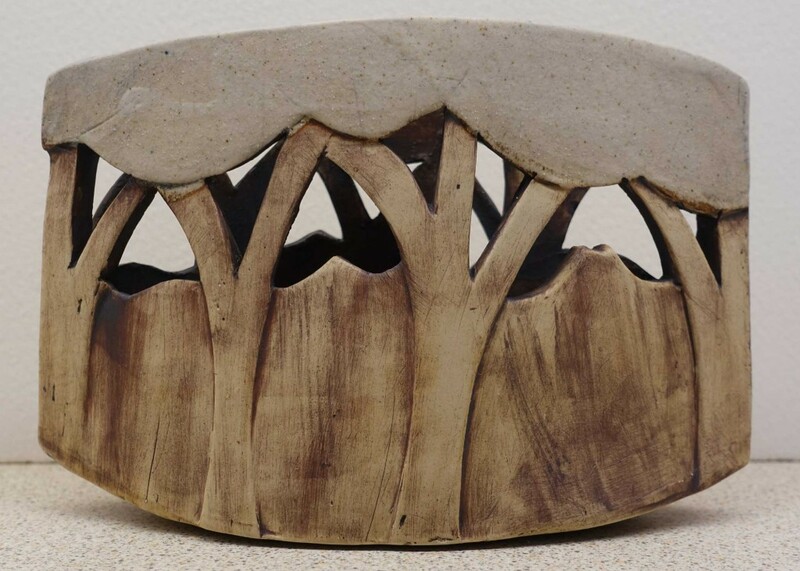 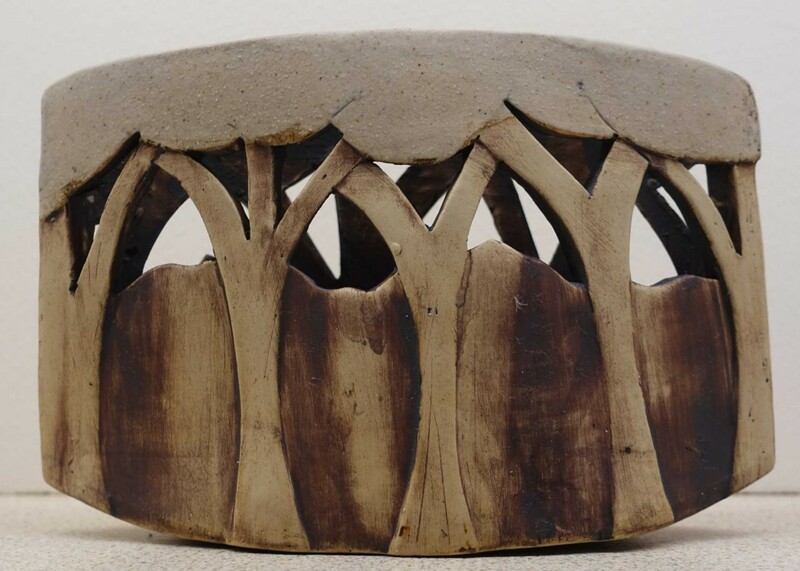 A small, oval bowl with carved design of a woodland. 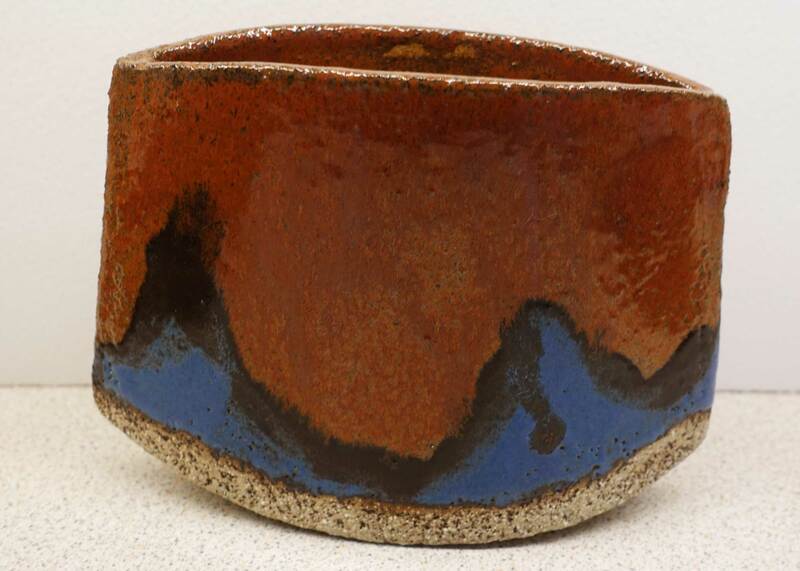 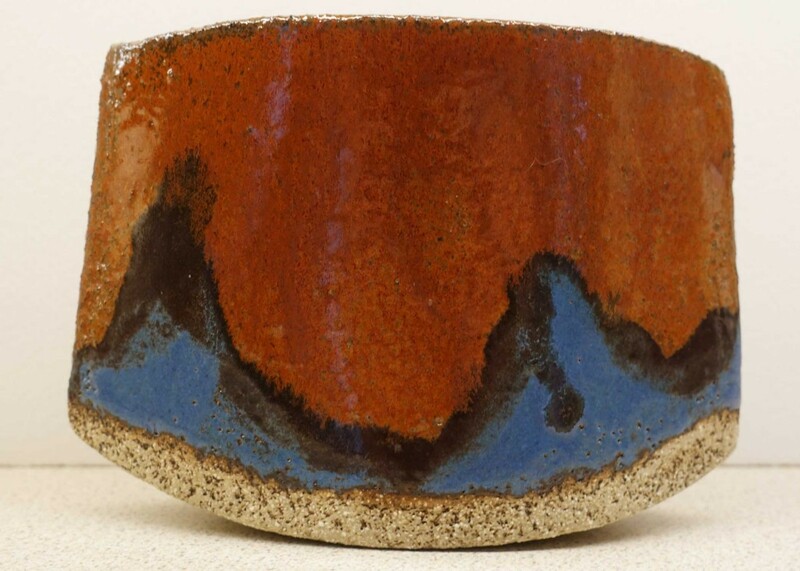 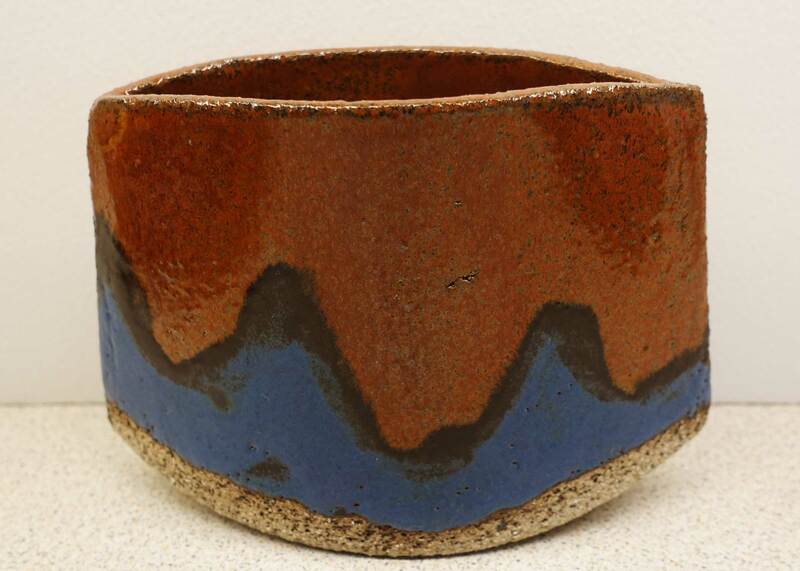 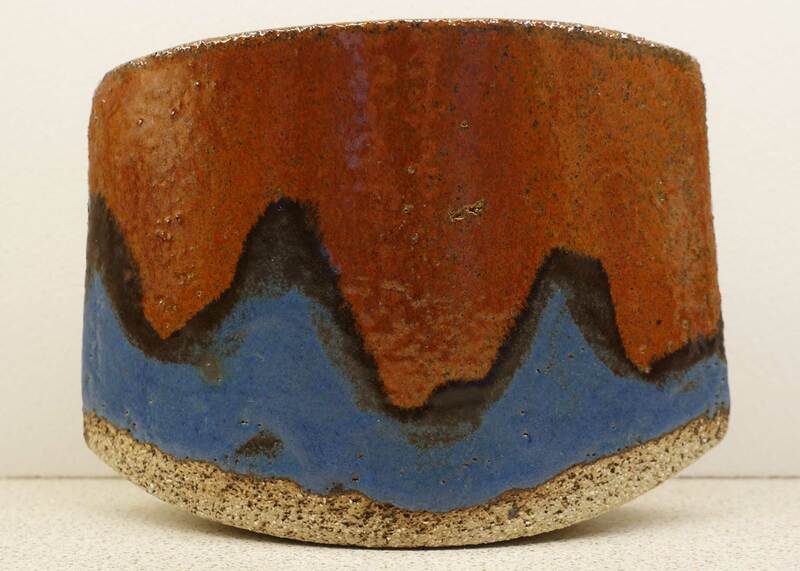 A small oval bowl glazed red and blue. 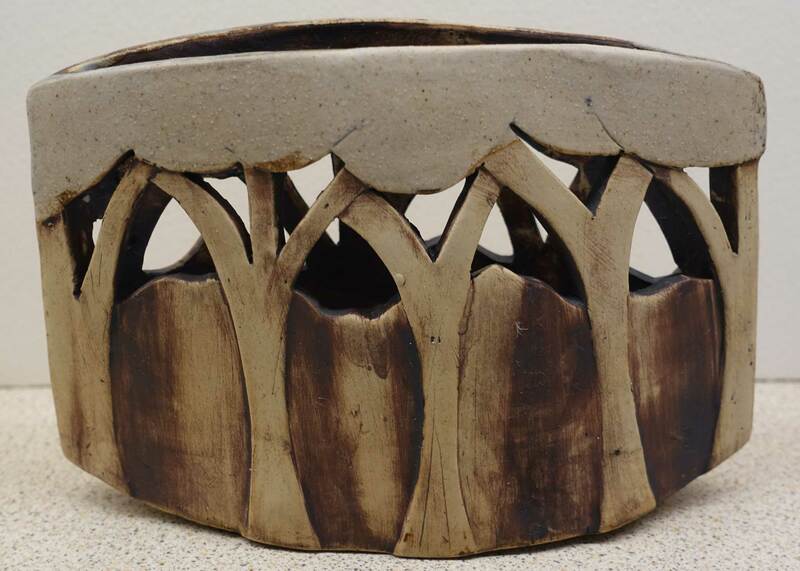 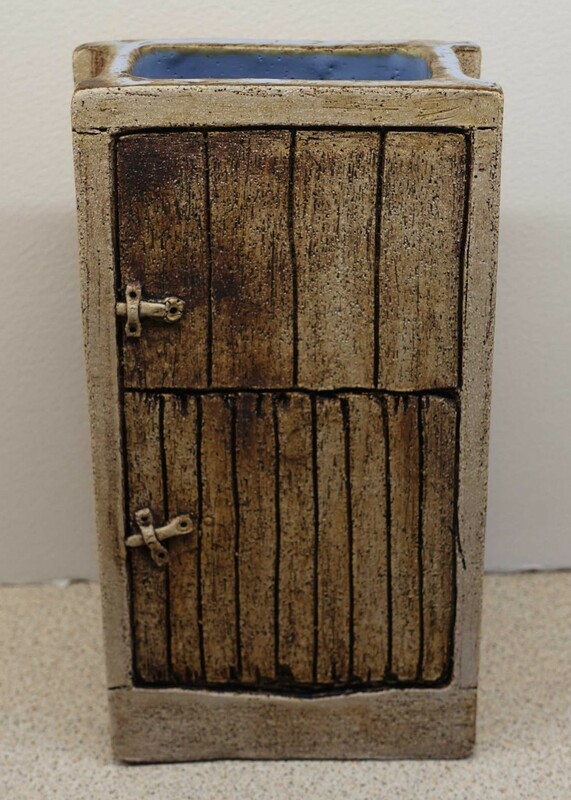 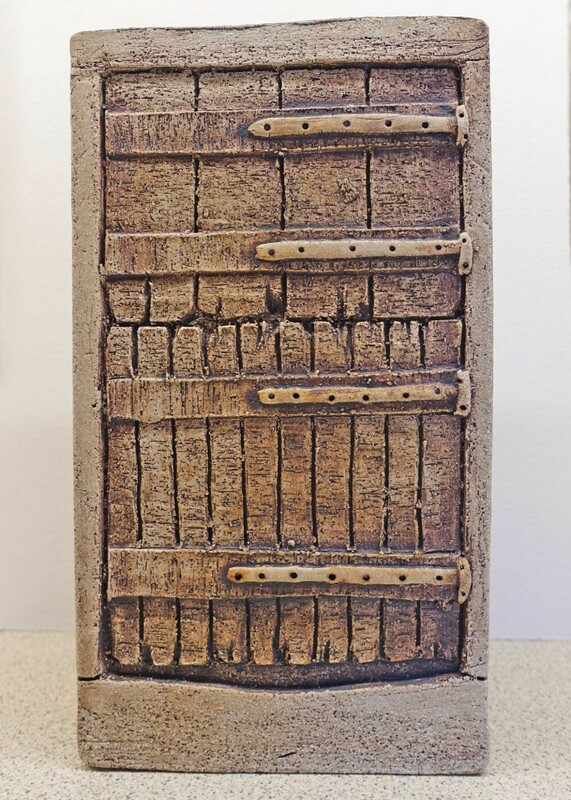 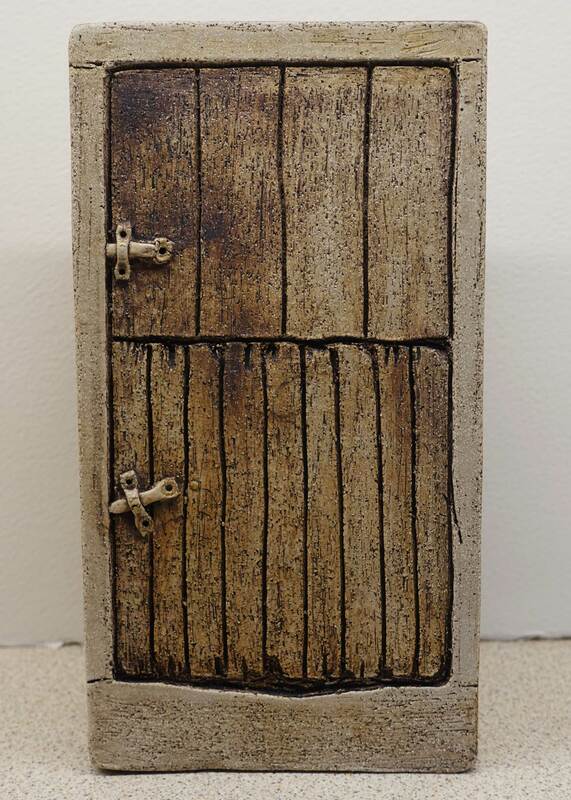 A pot with carved designs based on old barn doors. 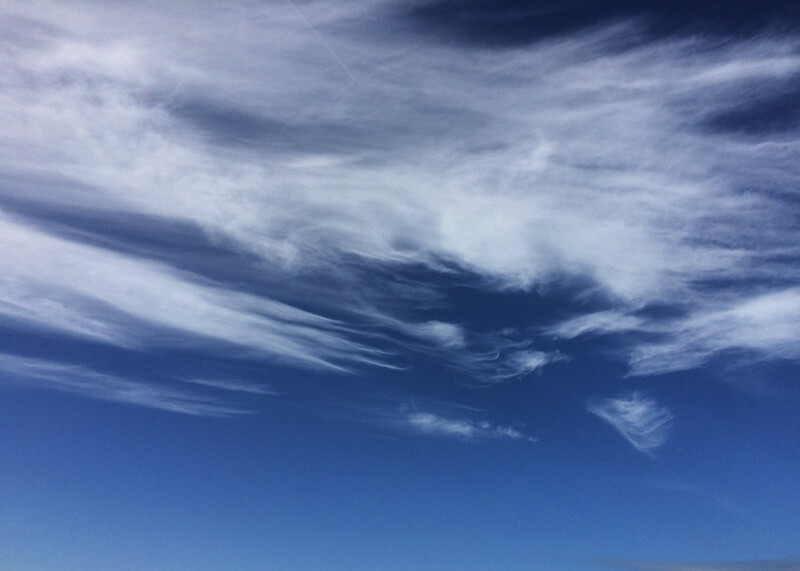 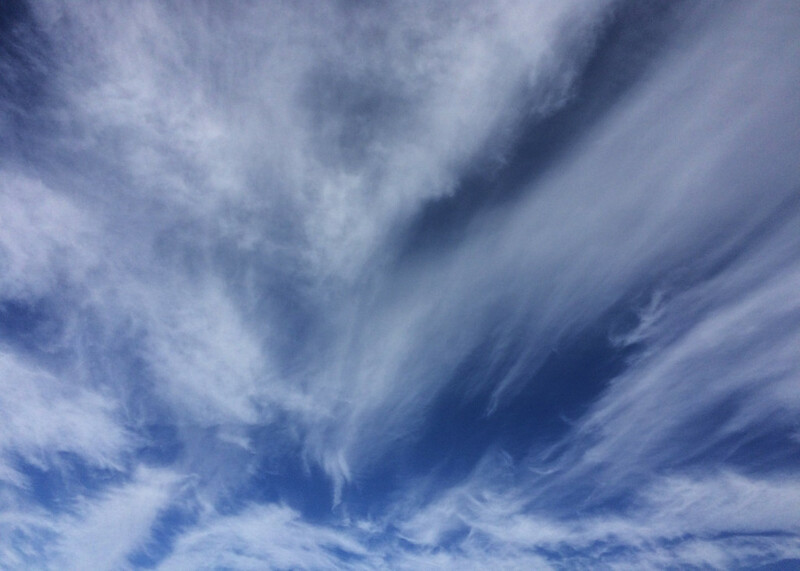 Glazed pale blue internally so suitable for live or dried flowers and grasses. 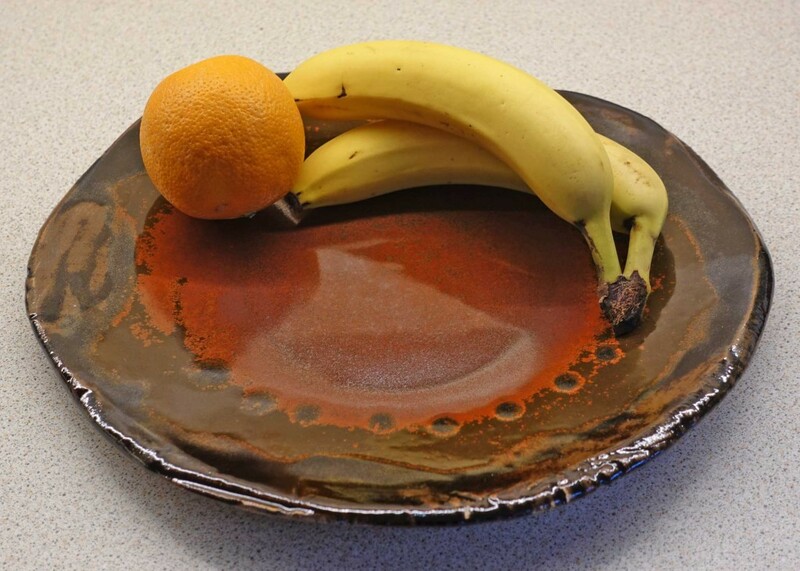 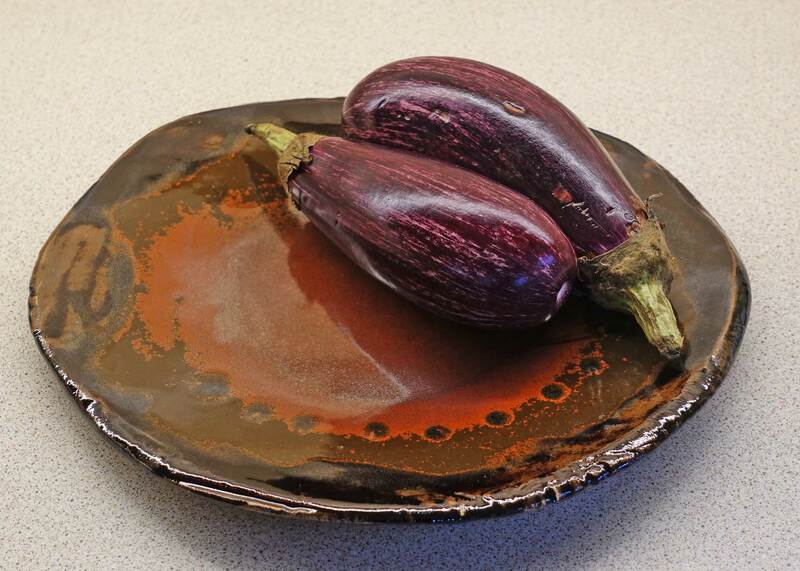 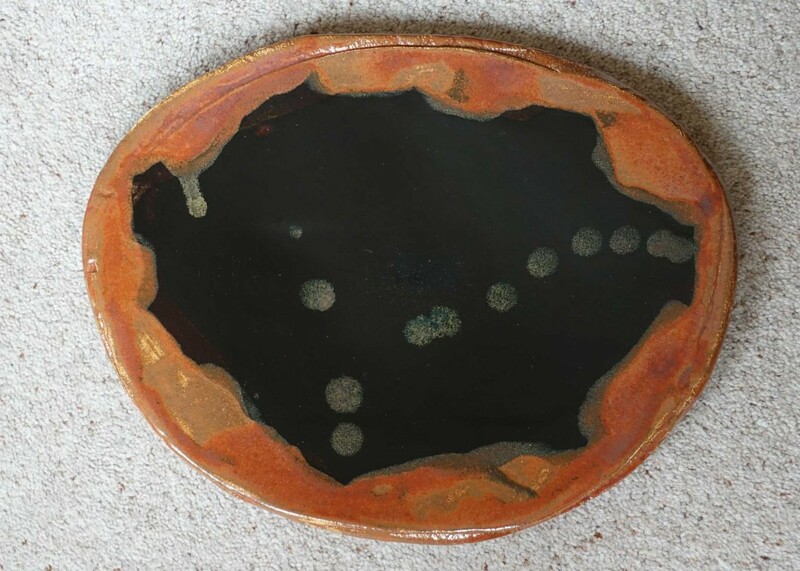 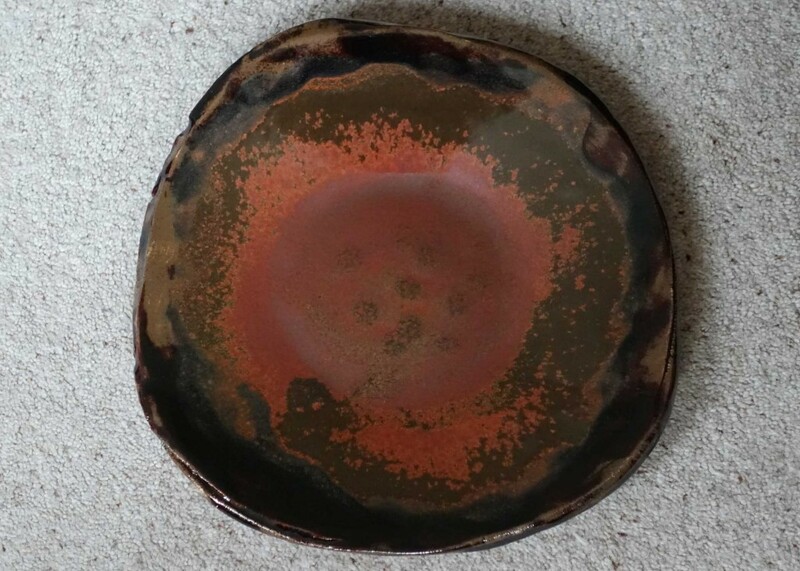 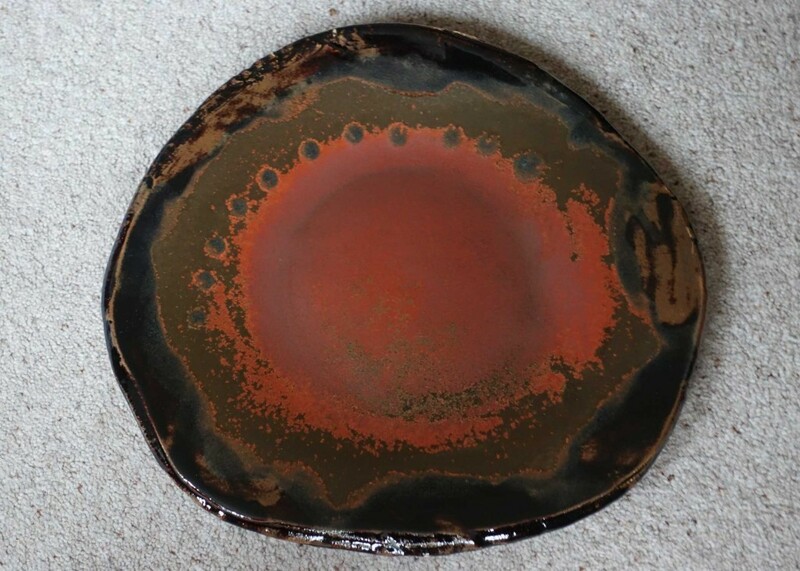 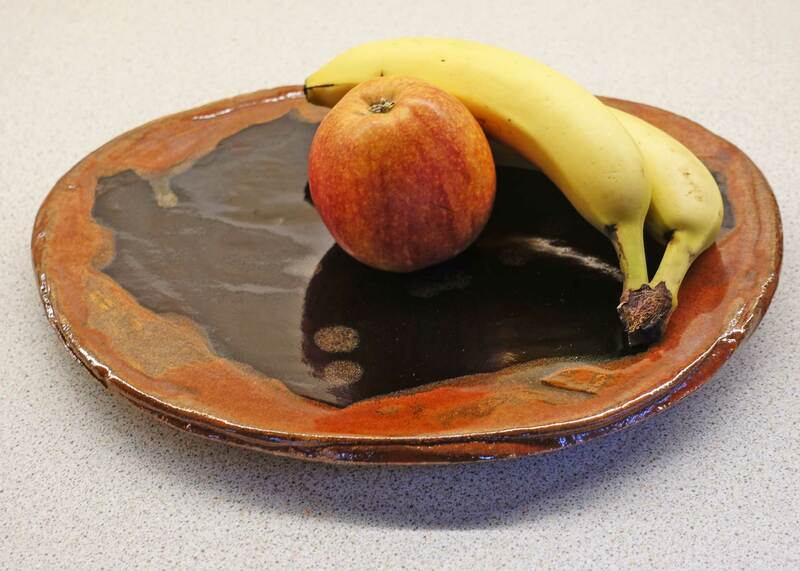 A plate for fruit or veg in red and Tenmoku glazes. 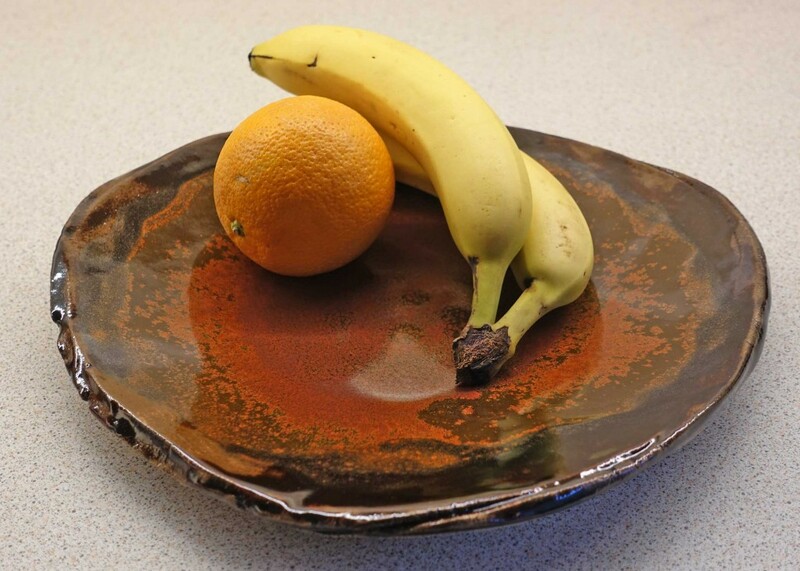 A fruit plate in red and Tenmoku glazes. 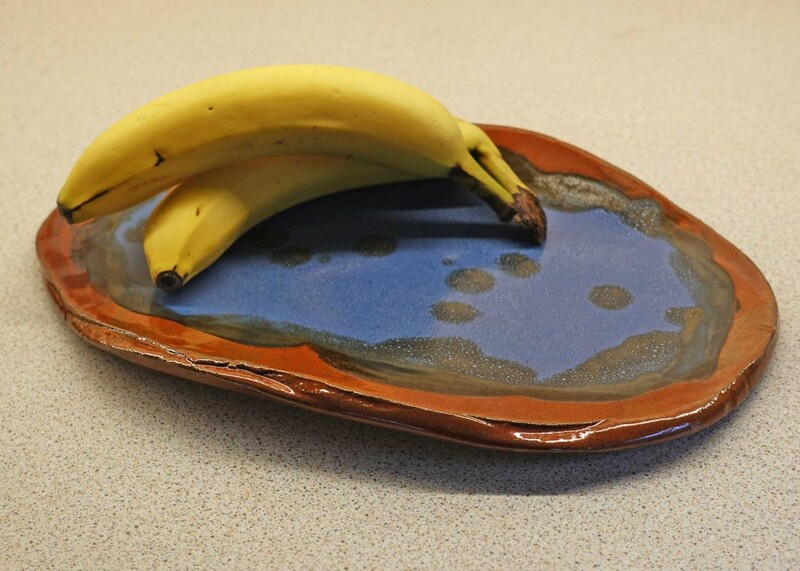 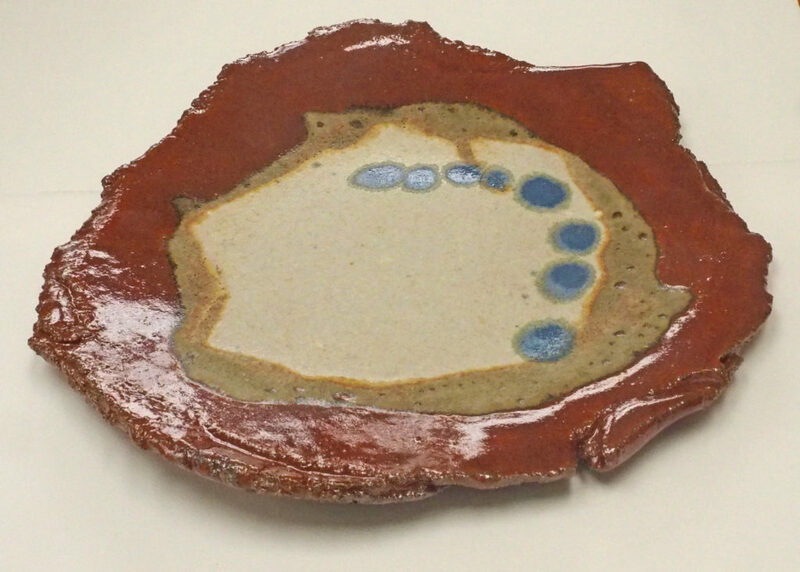 A plate, specifically designed for bananas, in red and blue glazes.